Is your business committed to delivering one or more of the 17 UN Sustainable Development Goals? We answer NO to this question as we do not yet have the policies and practices in place to answer YES. But this does not mean that we are ambivalent to or uninterested in the SDGs. Far from it. ... as the remainder of this answer we hope will make clear. 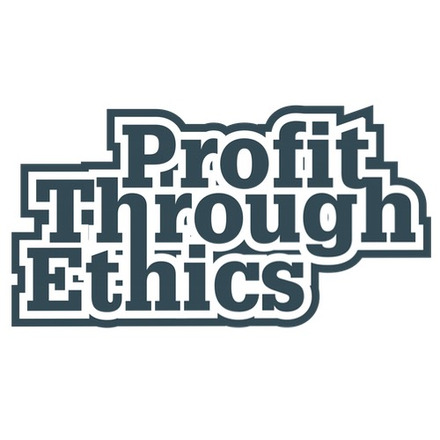 Profit Through Ethics Ltd ('PTE') is the business that conceived, develops and maintains the Responsible 100 ('R100') initiative. R100 is a business tool and a growing social movement. We believe that, to live sustainably on a fragile, resource-constrained planet, responsibility must drive profitability and irresponsibility must diminish it. Our aim is to make this happen. We support businesses prepared to demonstrate high degrees of openness and honesty on a wide range of social, environmental and ethical issues. Working with businesses - and NGOs, campaign groups and assorted non-business experts - we develop questions which prompt businesses to explain and justify what they do in response to the various responsibility challenges they face. Issues examined include tax, community impact, living wage, executive pay, modern day slavery, workplace diversity, animal testing, customer complaints and redress, and many more besides, including delivering the SDGs. For each question, we also create a scorecard which seeks to capture the consensus view as to POOR, OKAY, GOOD and EXCELLENT standards of policy and practice. This new question and scorecard on delivering the SDGs has been developed in collaboration with WWF, UKSSD and Kyocera Document Solutions (UK) in particular. This work has required a significant investment in terms of researching and administration time, meetings and phone calls, and other such resources. It has required that all three of the R100/PTE team members who have contributed to this effort to have acquired adequate insight and knowledge of the SDGs, how they are designed to work, and how they are working in practice. We suspect that many other organisations working on the SDGs, and on delivering against them, feel like we do in that we are still only at the start of what is likely to be a long journey. Our work includes identifying pressing social, environmental and ethical concerns and working with experts - inside and outside business - to help define and describe POOR, OKAY, GOOD and EXCELLENT practices. Our tool and processes are designed to assist businesses which are striving to be more responsible on all the issues which impact on them and on wider society and the environment. An issue can be narrow or very broad in its focus. For instance, high executive pay can be considered an issue in and of itself, and it is the subject of one of the 53 separate questions which make up the current R100 question set. But it is also a contributor to the problem of increasing inequality, which is now also the focus of a R100 question. Inequality is then one aspect of the broadest issue we have examined to date, namely this one on delivering the UN’s SDGs. To describe the SDGs as ambitious is an understatement. Reducing inequalities is goal #10 amongst 17, arguably one seventeenth of the total change sought in the world. As we have discovered recently, this one issue is made up of several other pressing and complex sub-issues and challenges. Businesses can affect levels of inequality through their decisions and practices in regards to high pay, low pay, tax responsibility, employee training, workplace diversity, and through the products and services they provide, and the markets they serve. The SDGs are not just targeted at the largest companies in some countries, but all businesses and all governments in all nations, right across the world. They are also founded on a principle that no one is left behind, that all every person on Earth is included. These characteristics and the scale and scope of the goals has led to the SDGs being described as "the closest thing the world has to a global strategy". It is a fantastically ambitious set of targets which require governments, businesses and civil society to do their part, and to work collaboratively, to successfully effect. Each of the 17 goals covers a range of issues which are examined directly or indirectly by the 53 R100 questions. Unfortunately, there is not tidy or simple way to correlate the two. It is perhaps that the starting point for the SDGs was in considering primarily what governments need to do to help make a better world, and R100's starting point was considering what businesses needed to do. This stated, both R100 and the SDGs are focused on the same basic challenge: how to enable people to live better lives in a better world. For us, this is best achieved by identifying, supporting and rewarding the businesses and other organisations which align with the right hand side of the table on this About page, at the expense of those on the left hand side. Championing these organisations, and enabling them to profit through their commitment to increasingly responsible practices and compete in a race to the top is the aim and purpose of R100, and the focus of our work all day, every day. In September 2015 the United Nations General Assembly formally adopted the Sustainable Development Goals (SDGs) – a new global framework of 17 goals and 169 targets to wipe out poverty, fight inequality and tackle climate change by 2030. The SDGs will carry on the momentum generated by the Millennium Development Goals (MDGs), but with one fundamental difference: the principle of universality that underpins the framework. This means all countries are expected to implement the goals domestically, as well as work together to achieve the ambition of the SDGs globally. The SDGs require a holistic approach involving actors from all sectors. Governments need to look to society, and business in particular, for help to achieve them. The private sector has an important role to play in implementing the SDGs, as complex challenges require integrated responses that involve knowledge and resources from all stakeholders. Many business leaders are confident that, far from being a burden, the SDGs have the potential to drive successful new strategies, innovations and investments. The Business and Sustainable Development Commission, launched in Davos in January 2016, aims to map the economic prize that could be available to business if the UN SDGs are achieved. In its flagship report, Better Business, Better World, the Commission describes how business can contribute to delivering these goals. The 'Global Goals' are the same as and interchangeable with the "Sustainable Development Goals", or the "SDGs" for short. The '2030 Agenda for Sustainable Development' establishes the Sustainable Development Goals. This document recognises that the challenge of implementing this agenda requires new and collaborative ways of working, characterised by multi-stakeholder networks that can harness the resources and the expertise of the private sector, academia, and the public as well as of Government and Civil Society. To develop a global partnership for development. Each goal had specific targets, and dates for achieving those targets. The Sustainable Development Goals (SDGs) replaced the MDGs in 2016. 'Targets' are objectives or results towards which efforts are directed. In relation to the SDGs, they the nine or ten objectives which focus and contextualise each goal. For example, Goal 3 is "Ensure healthy lives and promote well-being for all at all ages". One of the nine targets set to this goal is Target 3.3: "By 2030, end the epidemics of AIDS, tuberculosis, malaria and neglected tropical diseases and combat hepatitis, water-borne diseases and other communicable diseases." 3.3.5 Number of people requiring interventions against neglected tropical diseases. The Final list of proposed Sustainable Development Goal indicators, which includes the 230 agreed indicators, can be downloaded here. Walks the talk for sustainable development through the business model, strategy, supply chains etc. Profit Through Ethics answered Version 1 of this question. It has since been updated to Version 2. View a side-by-side comparison of the changes to the question here.